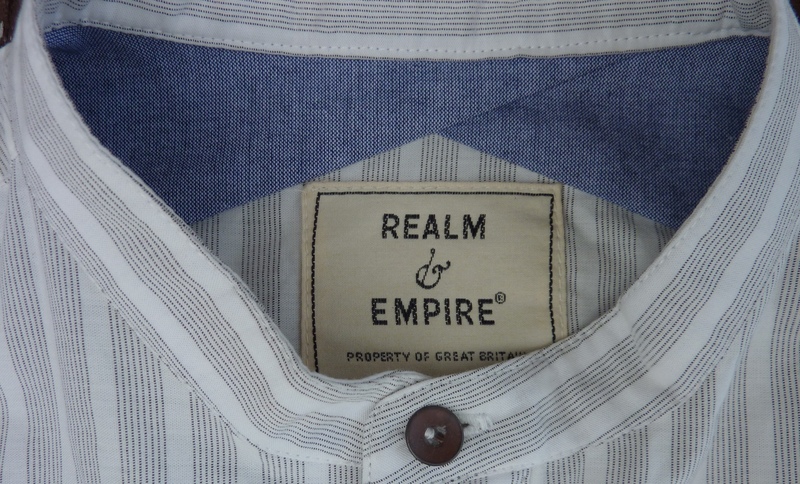 Summer style in the Realm (& Empire) - Well Dressed Dad - It is a proper menswear blog. Like, with original words and opinions and suchlike. I’ve previously written about Realm & Empire and how they delve into the IWM archives for inspiration. 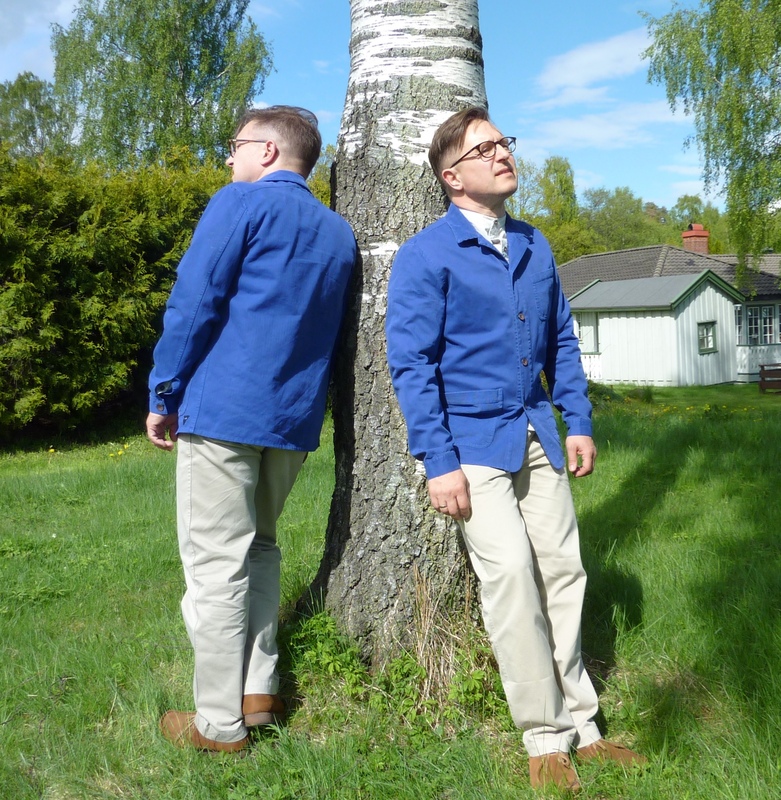 Given that the weather around here of late has been dodgy in the extreme, I’ve had a lot of use of their waxed jacket I reviewed a while back. This time though I’m taking a look at their Artisan jacket and Demob shirt. The jacket and shirt both look to WW2 for their backstory. The Bacton Artisan jacket refers to the Civilian Clothing Order introduced in 1942, where it became illegal and unpatriotic to produce clothes with added embellishments by way of unnecessary stitching or trim. 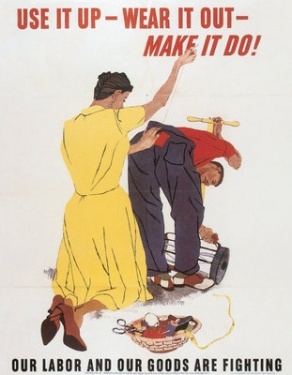 People were encouraged to “made do and mend”, which inspired them to devise inventive ways of perking up their garments. Reminds me of todays trend of redesign, but then it was less a case of trendiness than a necessity. 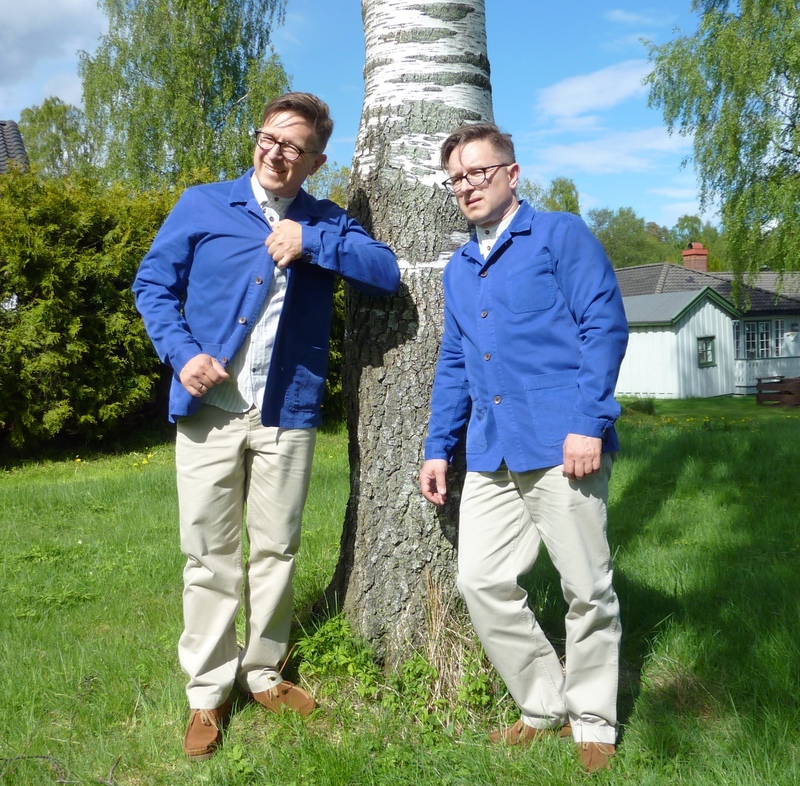 The Artisan jacket itself is basically a fairly typical blue workwear jacket. 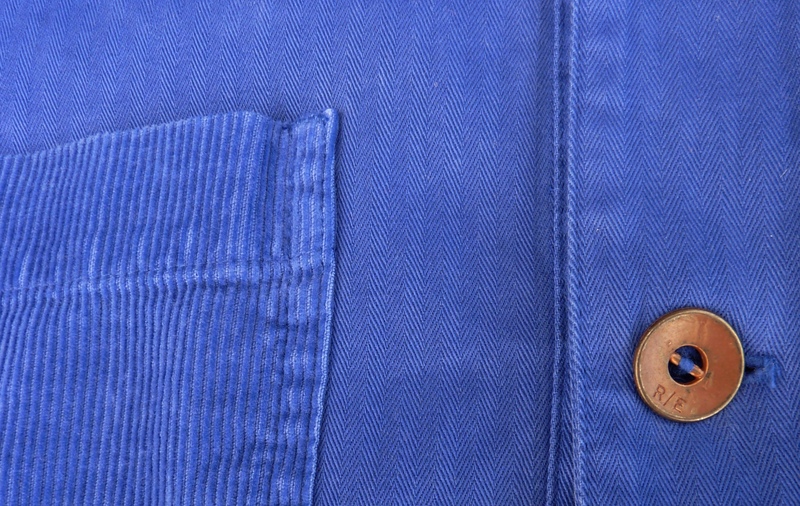 Three pockets, boxy fit and blue. So how is this one different? For starters it’s really, really blue. They make it by finding a very blue fabric, cut it and sew it, and once it’s all ready to wear, they dye it all in even more blue. The resulting garment-dyed blue colour is terrific. Not the usual serious workwear blue, but a very happy hue indeed. That is a good bit of different right there. And the cotton is a nice herringbone weave as well. The next different comes by way of the pockets. These are done in corduroy. Of no practical consequence, but it breaks things up a bit and looks and feels nice. The collar is done in the same fabric, which is also nice. The design also includes some thoughtful different. Most jackets of this style have the three pockets and that’s it. And these pockets tend to be quite open and insecure, so you’re a bit stick for where to put your ration card and identity papers. Not on this one, as there is a zipped inner pocket large enough for to keep a wallet in. I hadn’t realised how much I’d missed this in other jackets. I almost forgot the buttons. Proper branded metal buttons, of a suitably austere design. Very nice. And the jacket is available in biscuit and tea navy colours as well. The second piece to be presented today is the Brize Demob shirt. Again inspired by wartime Britain, inspiration for this one comes from the end of the war, when the soldiers were demobilised, i.e. sent back to their normal life. Part of this involved trading in their uniform for a demob suit. Nothing like a proper outfit to get a young man on his way back to civvy street, right? 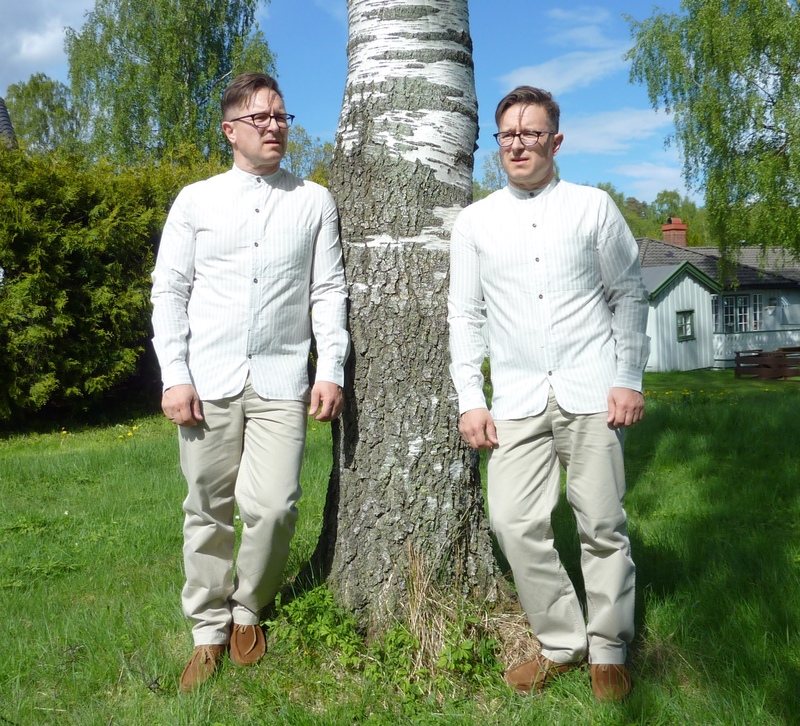 The shirt has a grandad-style collar and a button placket. The cut is suitable for the shirt to hang outside the trousers, a design feature I’m sure deviates from what was considered proper in the 1940’s. It works today though, and is decently designed. 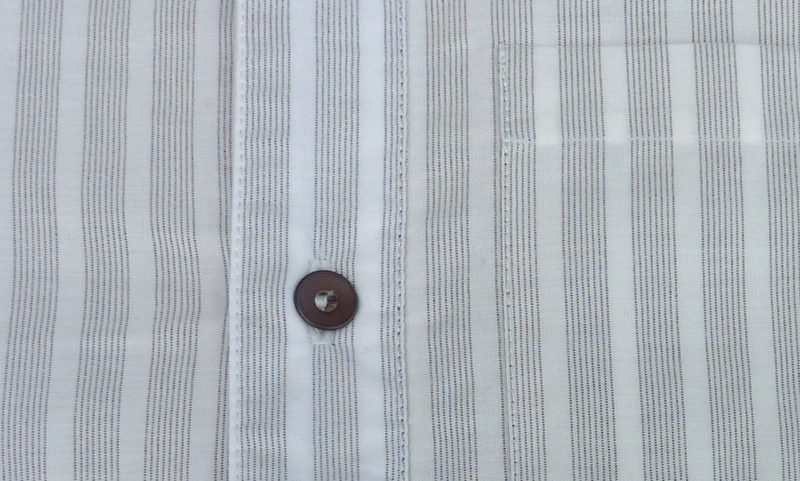 The fabric is 90% cotton and 10% polyester, in a finely striped pattern which comes across as an authentically vintage style. 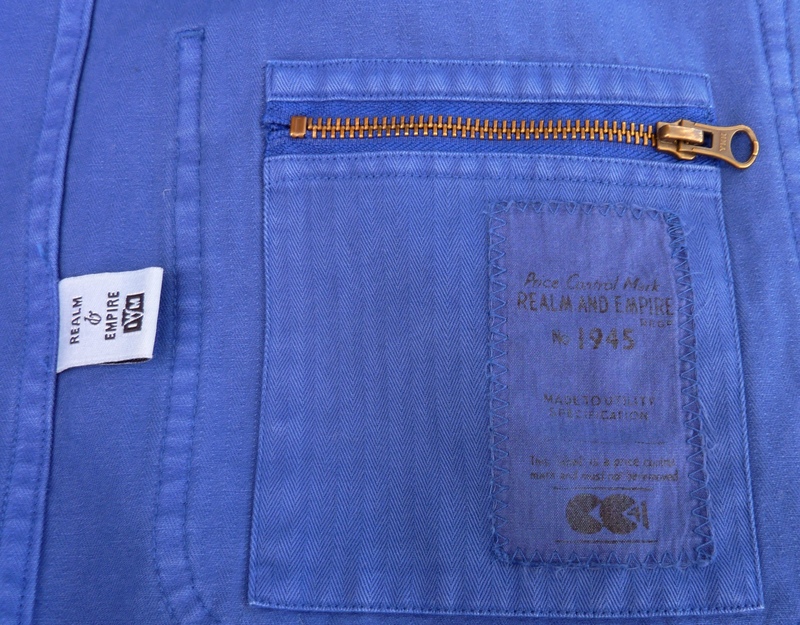 The inside collar is lined in blue chambray and the buttons are a smaller version of the ones on the jacket above. 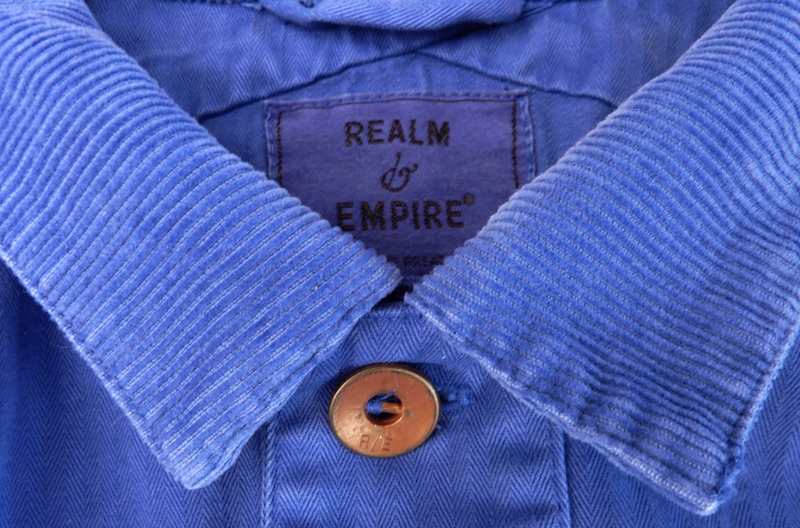 The shirt is also available in blue chambray. 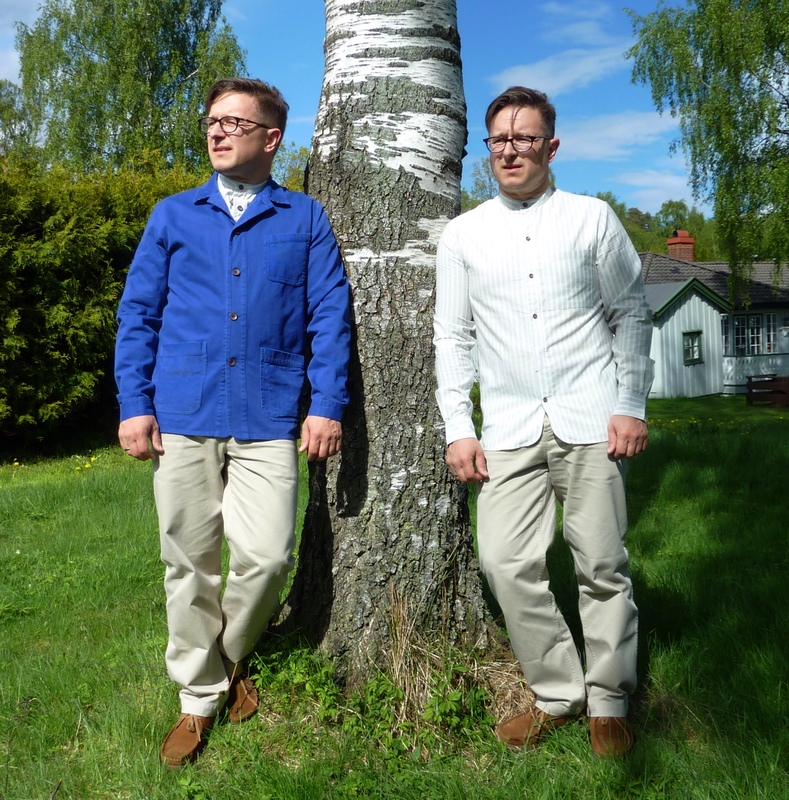 An interesting design feature on both jacket and shirt are the way they are sewn across the shoulders. This style has been adapted directly from uniforms from WW2 (as mentioned previously here). It’s another bit of different! In summary, both a jacket and a shirt with enough different to catch my eye. And quite reasonably priced as well, 120 pounds and 85 pounds, respectively. Or 96 and 68 if you use the discount code provided here (see, I even do the maths for you). I’m wearing a size large in jacket and medium in shirt. I’m usually a medium with a 42″ chest. Find these items and more at Realm & Empire. 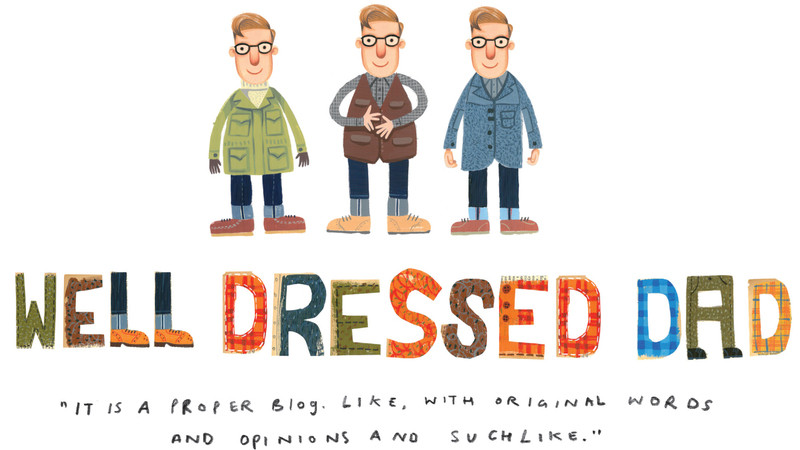 The discount code WellDressed gives 20% off, valid till Sunday the 24th of May. I can vouch for that jacket. It really is the bluest of blue. Very nice!